Gearhead motor assemblies are designed for high torque in a compact size. 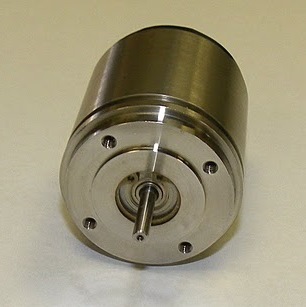 Island Components manufactures gearhead motor assemblies to fit with general motor sizes. They may be directly mounted onto the surface, and supplied as special speed reducers. Friction slip clutch and anti-backlash features can also be incorporated for especially high torque. A complete line in sizes ranging from 8 through 18 with gear ratios of 4:1 to 18,000:1 are available. Special units can also be created to suit your needs. To learn more about our gearhead motor assemblies, clutch brake combinations and rotary actuators, send a quote request. Island Components is eager to answer all of your questions and supply precision motor assemblies. See Precision Gearheads. Spur gearheads and planetary gearheads can be mounted to motors or supplied separately. These components increase output torque directly related to the gear ratio, offering increased efficiency. Both of these gear heads are durable and expertly constructed. Planetary gearheads are suitable for applications that require efficiency and high torque, while spur gearheads run quiet and are favorable for relatively low torque applications. To select the right gearheads for your application or customize a gear system of your own, contact Island Components. Sizes can range from 7/16” to 7” diameters. Small lots are our specialty. See Precision Gearheads. Ask about our capabilities with motor brake combinations for compact size applications. Our motor brakes provide high overall efficiency and durability over a wide range of operating conditions, uniform braking over long periods and fully adjustable braking time, torque and motor overload control. Because our assemblies can be manufactured on a single shaft, there will be minimal or no backlash between motor and brake. With our designs, we can seal our units against most hazards and harsh environments. See Precision Motors and Precision Brakes & Clutches .